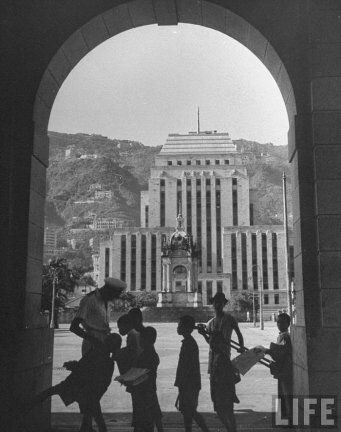 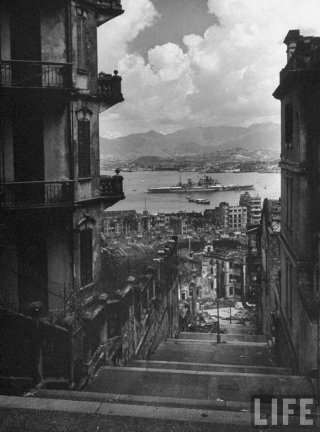 By the end of the war in 1945, Hong Kong had been liberated by joint British and Chinese troops. 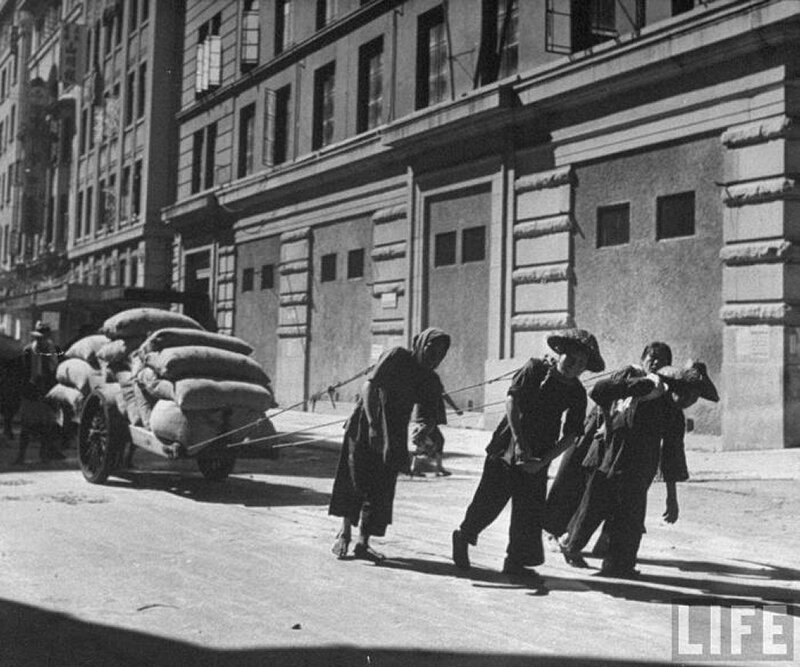 less than half of the pre-war population of 1.6 million due to scarcity of food and emigration. 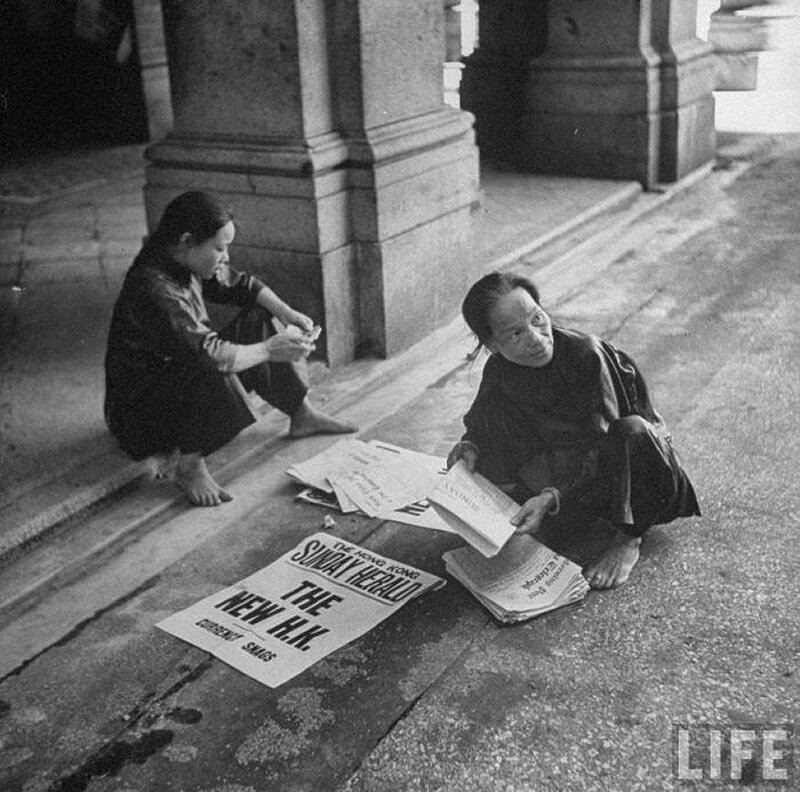 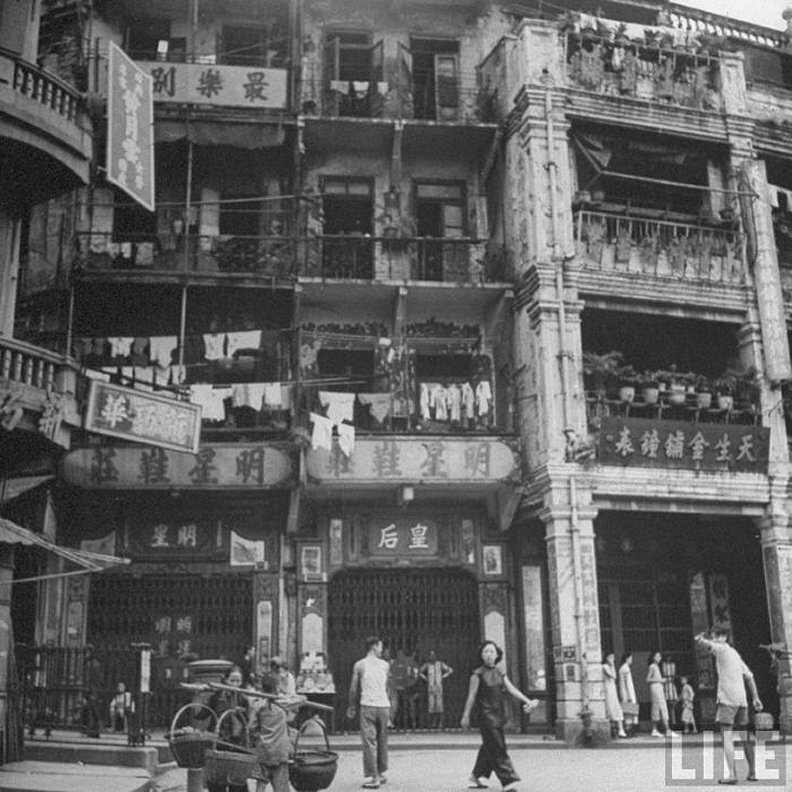 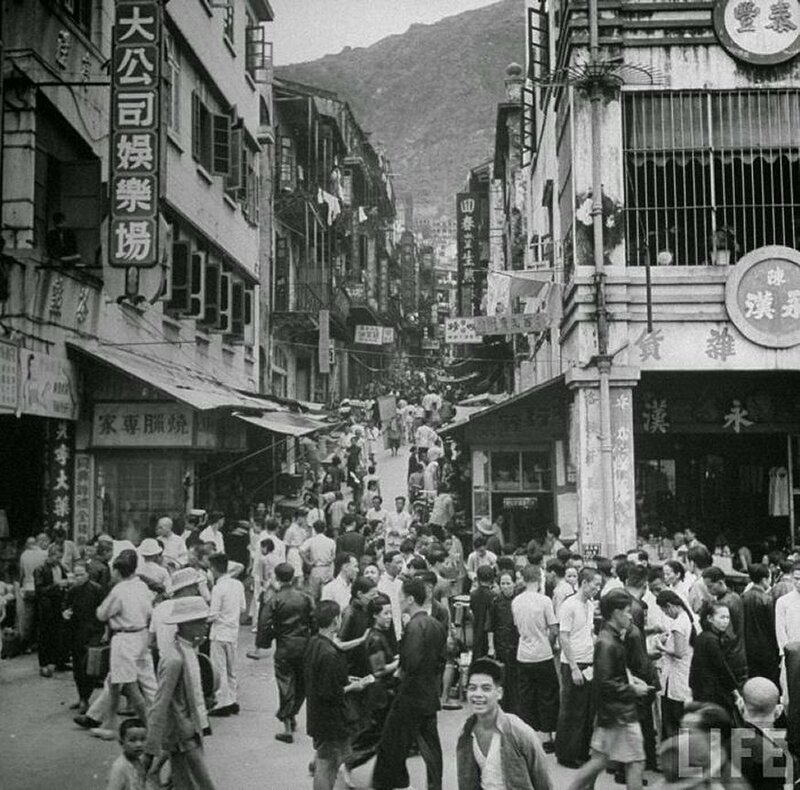 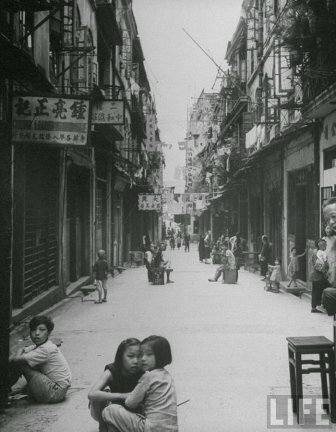 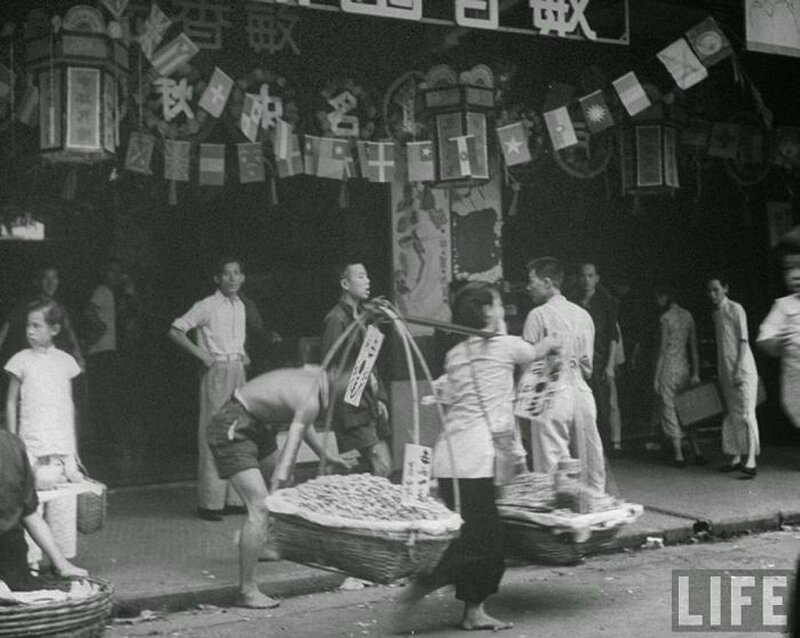 The communist revolution in China in 1949 led to another population boom in Hong Kong. 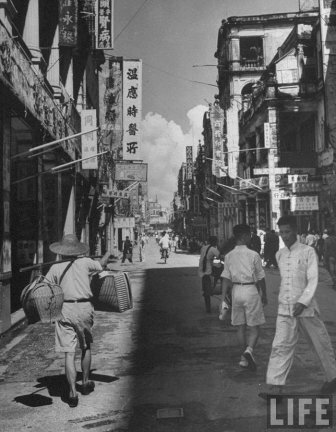 the United Nations ordered a trade embargo on mainland China due to the Korean War. More refugees came during the Great Leap Forward. 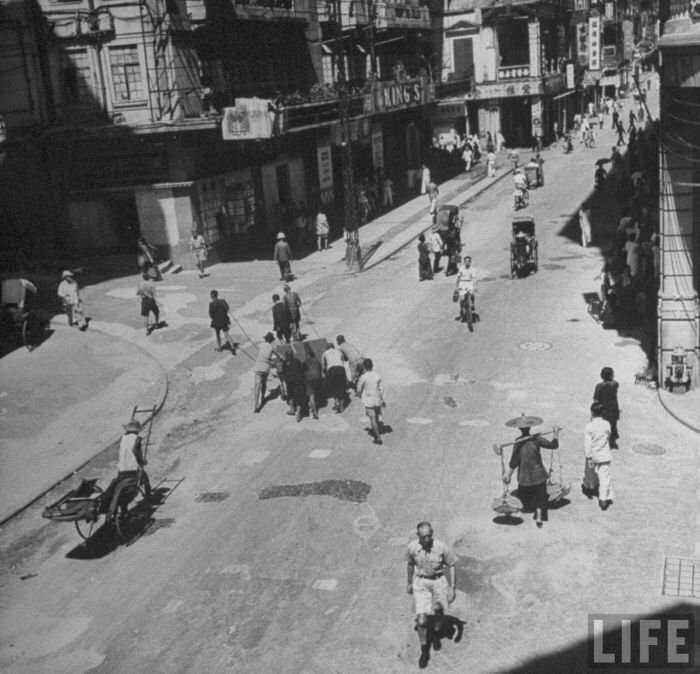 Overhead of a busy street. 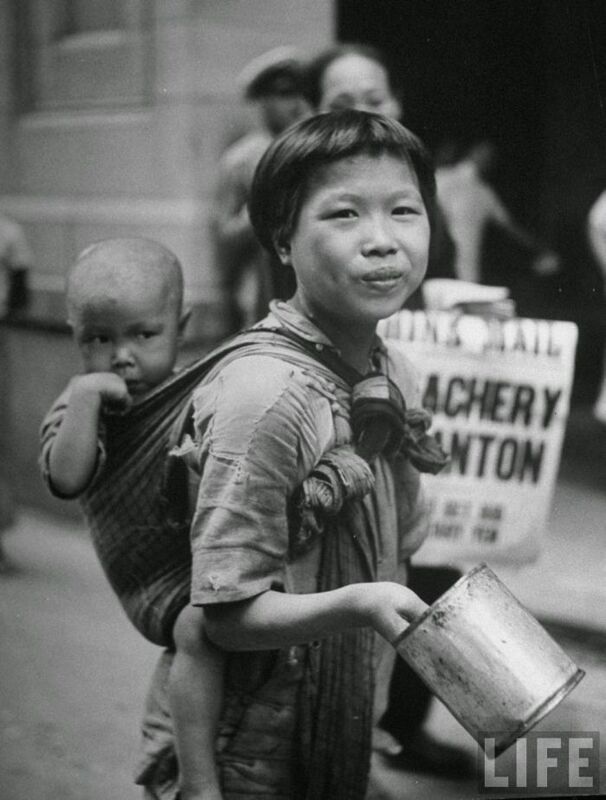 Young girl carrying her baby brother on her back and begging for money. Looking down Shing Hoag Street toward the HMS Duke of York sitting in the harbor. 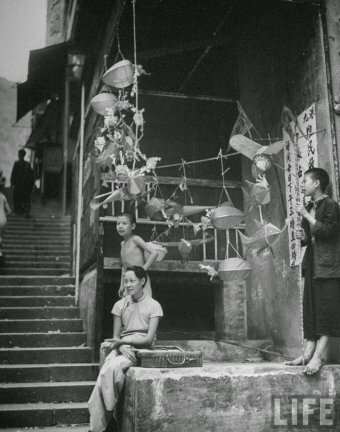 Woman and children selling lanterns and kites in a market on Queen’s Road. Young street vendor selling fish in marketplace on Queen’s Road. 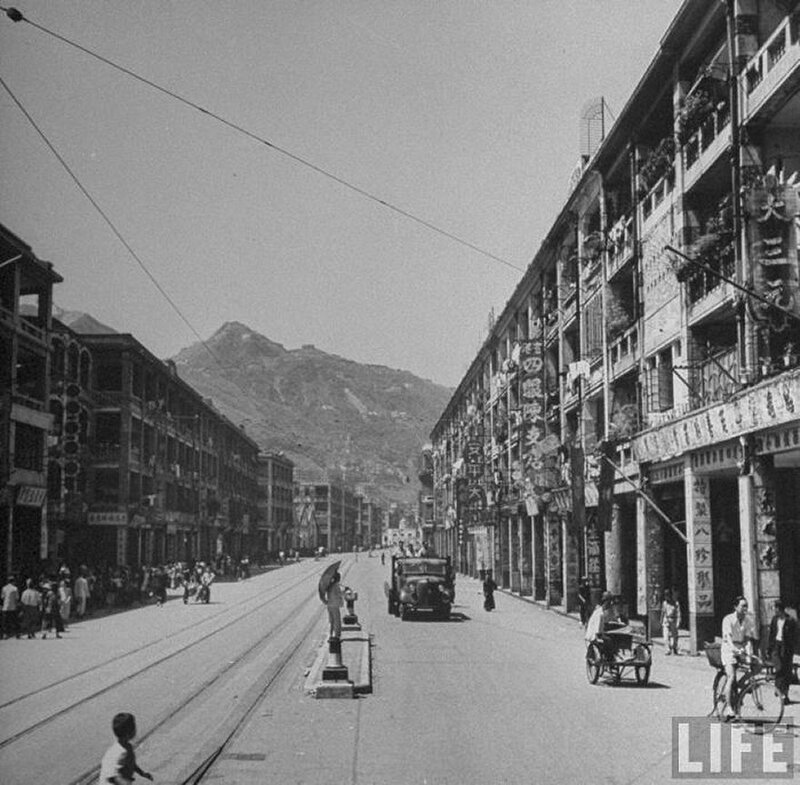 Street vendors along Queen’s Road preparing for business. 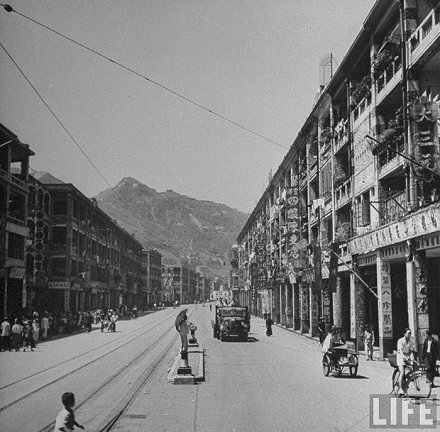 Scene in marketplace along Queen’s Road. 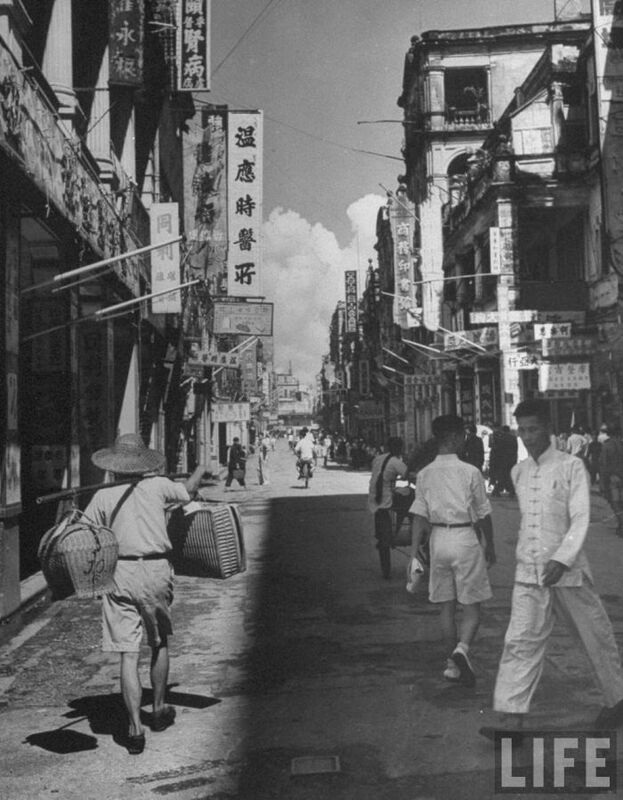 Pedestrians walking down Queen’s Road. People going about their business on Queen’s Road. 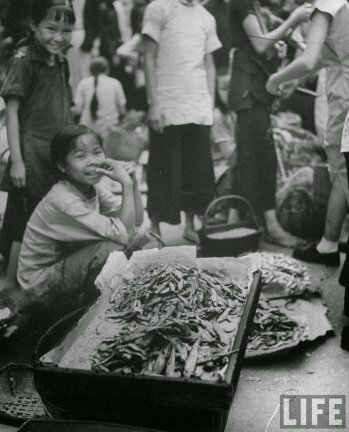 Street vendors selling their wares in marketplace on Queen’s Road. 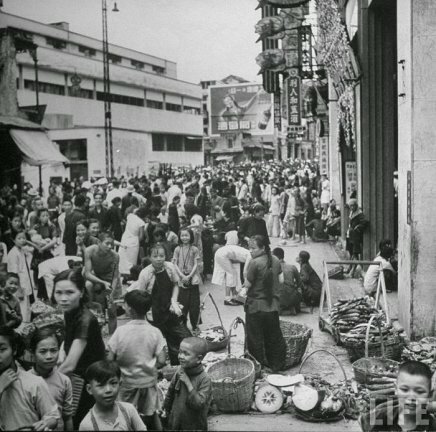 Street vendors and their customers conducting business along Queen’s Road. Elderly Chinese women pulling a cart loaded with sacks of rice. Pedestrians and vehicles moving along Queen’s Road. 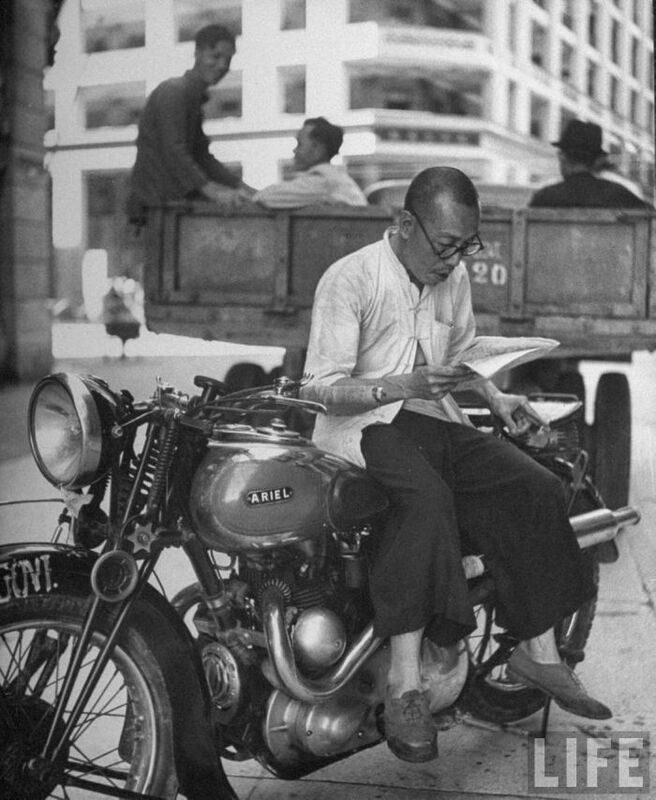 Chinese man sitting on a motorcycle, reading a newspaper. View through archway toward Hong Kong-Shanghai Bank. 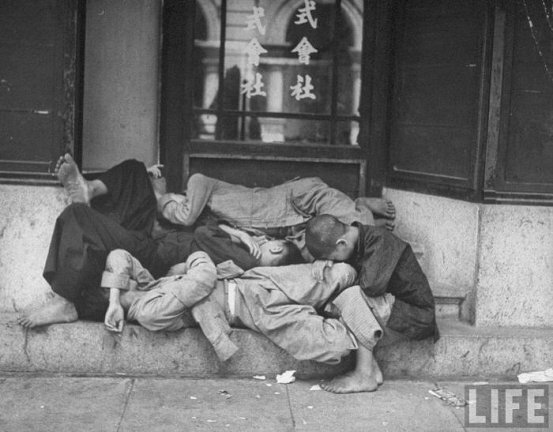 Coolies taking an afternoon nap on steps of a hotel. 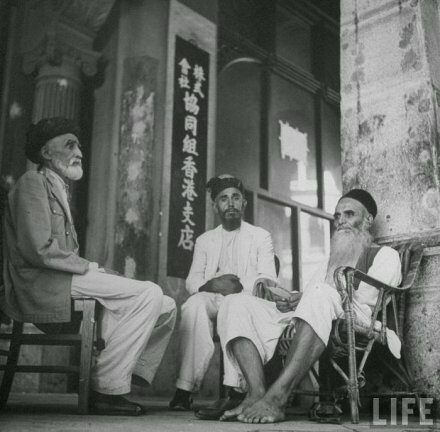 Men from India sitting in front of post office.